Can you tell it’s supposed to be a cronos? Is it too busy? To me it looks quite busy and does not really scream cronos to me. 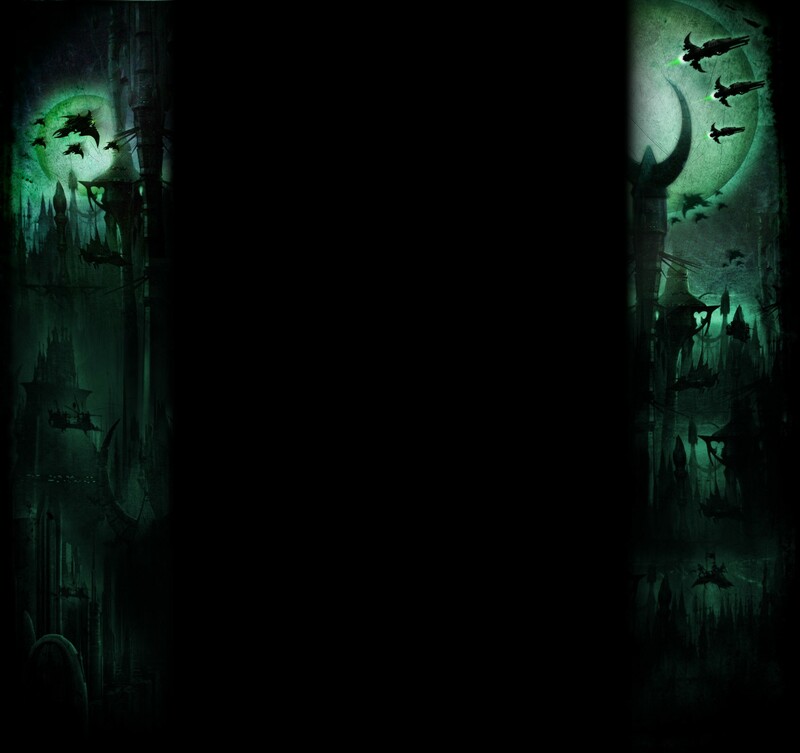 I think a large part of that might be that I truly see the cronos as floating. And I must admid I do not really like the cronos model so I am probably not the best one to comment on it. 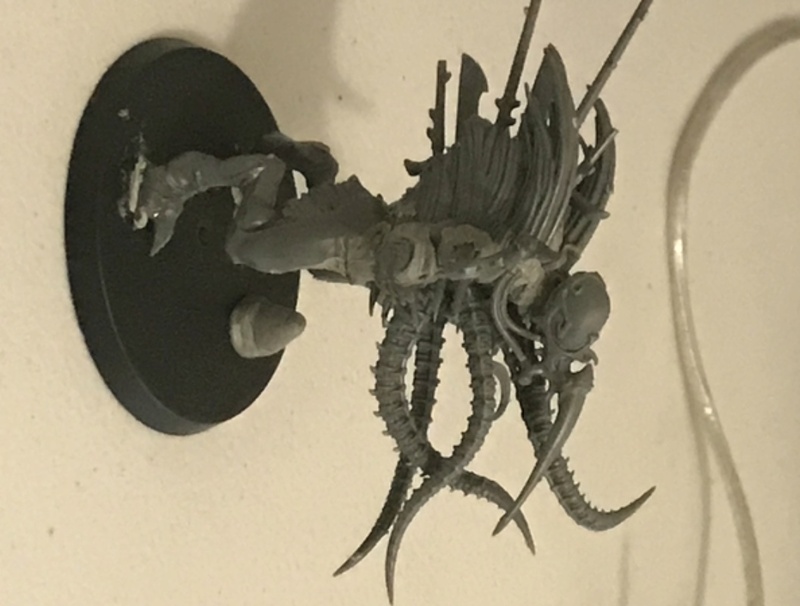 My advise would be the same to you as to GW try and make it more like it will disect you instead of a tentacled mass with weapons on his back. With that number of tentacles, I thought it had to be a pain engine. The lack of the weapons for a Talos means it should be fairly clear what it is. 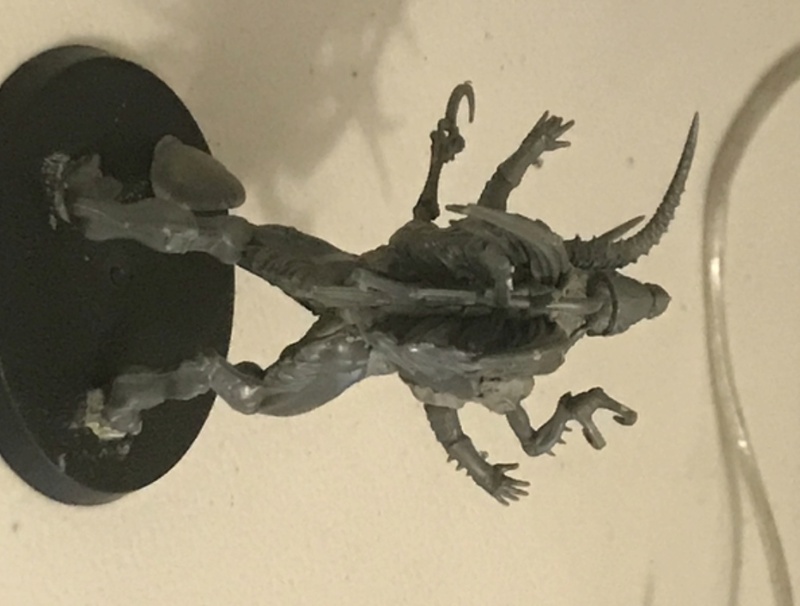 Cronos is normally a much more mechanical creation, and this one look more like a beefed up Grotesque. The concept is fairly neat, but perhaps a little more plate or artificial material might tie it to a pain engine slightly more. Okay, that’s good advice. Mechanical, no legs, and more dissection tools. 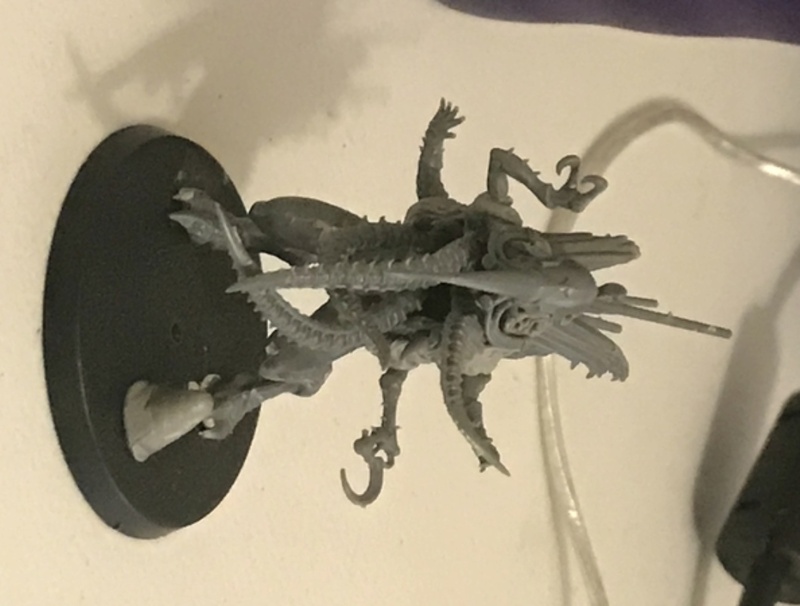 I’ll have to rip this guy apart, but can probably make anclawed fiend or another grot from it. It's not very bulky, is it? For me at least, bulk is one of the defining features of the pain engine. 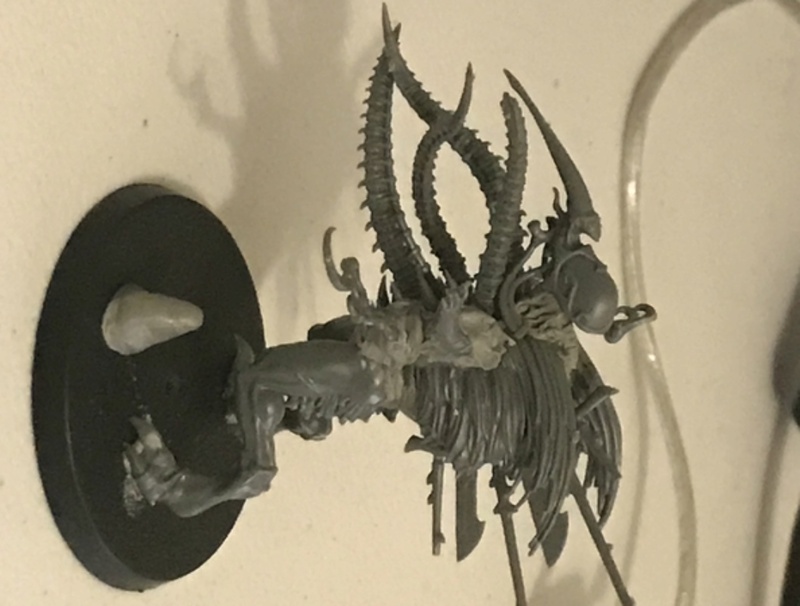 We can obviously recognize it as a cronos because of the bits used, but if I wasn't familiar with the kit I would assume that it's a chaos spawn. It looks like a very aggressive tentacled beast, which isn't really what a cronos is. I'd recommend more armour/mechanical bits and calmer/more passive posing. 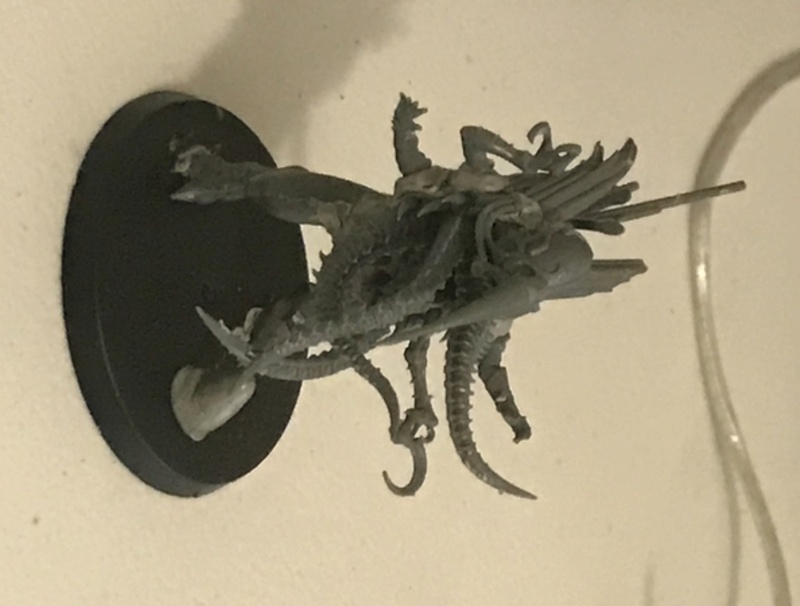 To me, personally, the Kabalite arms and Kabalite size Talos side-arms look a bit tiny as main arms on such a large model. Maybe replace the upper pair with, or just add, a larger set of arms? I still want a converted cronos, probably not floating because to me if it doesn’t have fly keyword I want it to be on the ground. Any suggestions? I’ve seen some cool snake cronos online. I like kit-bashed stuff. If you brought that against me and called it a Chronos I'd be fine. Personally, I'd play that more as a Clawed Fiend. Chronos, to me, look more "empty mechanical husk automaton" and this looks more like "demonic soul eater". I dig your model a lot. Wish I had one just like it.